Eat a high fiber diet with plenty of fruits, vegetables , and whole grains . If you smoke, ask your doctor how to quit . 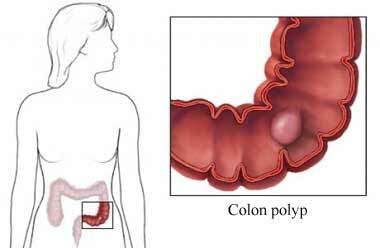 Endoscopic removal of large colon polyps. EBSCO DynaMed Plus website. Available at: http://www.dynamed.com/topics/dmp~AN~T921374/Endoscopic-removal-of-large-colon-polyps . Updated May 30, 2018. Accessed August 15, 2018.